For best results use regularly twice a day for at least 2 weeks. 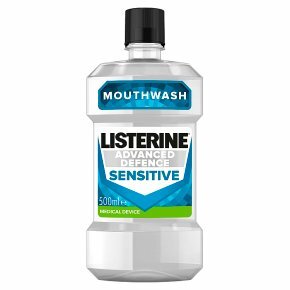 Continued use is necessary to maintain lasting protection from tooth sensitivity. Alcohol free. KEEP OUT OF SIGHT AND REACH OF CHILDREN<br>Do not use this product if you are sensitive or allergic to oxalates or any of the ingredients. Do not use this product if you have a history of kidney disease, hyperoxaluria, kidney stones or malabsorption syndrome, or take high doses of vitamin C (1,000 mg or more per day). If you are concerned you might be developing kidney stones consult your doctor. If you experience discomfort or irritation, stop using the product. If a significant amount (more than 10 ml) is swallowed, drink a cup of milk or water and contact your doctor or an Accident and Emergency department. Not suitable for use in children under 18 years. Do not use if the container is damaged or if the tamper seal is broken. Do not dilute, swallow or swig from the bottle. Do not use after the expiry date. Only use as directed. If your condition worsens or persists, discontinue use and seek medical attention.